A lifelong love of learning is an invitation to endless possibilities and unlimited potential. In our shared mission of creating lifelong learners, we take great pride in partnering with educators to develop comprehensive literacy plans that support student success in school and in life. As we partner with schools and districts across the country, core beliefs guide our instructional methodology and approach to comprehensive literacy to ensure the greatest student success. This framework for student success outlines the key features of a comprehensive plan necessary for supporting our shared goals. Central to our mission and philosophy is our conviction that every child should have both the access and the expertise to read complex books that can be found in a library or bookstore. If we only provide children with texts designed, written, and encountered exclusively for instruction in school, we risk children internalizing the idea that real, engaging, and authentic books are not for them. The more we can expose students to authentic texts that provide relevant content and reflect who they are, the more we can help them build their identities as confident and capable independent readers, thinkers, and learners. Providing our children with high-quality literature is an issue of equity. Stephen Krashen’s research (2011) has demonstrated that access to books is as strong of a factor in school success as poverty is a detriment. Choice is another key element to fostering a lifelong love of reading and learning. Allowing students to self-select their books results in more engagement and thus more motivation to read (Sewell 2003; Gallager 2009; Pruzinsky 2014). Furthermore, findings from the Scholastic Kids & Family Reading Report™: 6th Edition revealed that across gender and age, a majority of kids (89%) agree their favorite books are the ones that they have picked out themselves. Students need to experience and think about stories that reflect real-life experiences in order to develop empathy and expand their capacity to recognize the emotions of both the characters and their peers. Children should be routinely encouraged to connect in deep and personal ways with self-selected books from carefully curated lists of authentic literature designed to foster social-emotional learning. Social-emotional learning allows our students to “understand and manage emotions, set and achieve positive goals, feel and show empathy for others, establish and maintain positive relationships, and make responsible decisions” (CASEL 2008). The ability to process one’s own emotions and acknowledge the emotions of others is crucial to a positive classroom environment. “Because relationships and emotional processes affect how and what we learn, schools and families must effectively address these aspects of the educational process for the benefit of all students” (Elias et al. 1997). With a mutual empathy for and an understanding of their peers, students gain the sense of security needed to express themselves and learn. Often students are asked to write down facts rather than question or reflect on their reading. We promote a different approach by prompting students to be active learners who use their abilities to reason, reflect, and make connections. Through the use of quality, authentic literature children have opportunities to engage in deep, open-ended conversations that stimulate and nurture their ability to think critically. Every student should have the opportunity to receive instruction of the highest quality. We equip teachers with a deep conceptual understanding of a number of universal literacy skills, the academic language related to these skills, and the tools necessary to help students meet the nuanced expectations of the standards. Reading and writing are mutually supportive language processes. Writing about reading helps readers frame and focus their understanding while allowing teachers to gauge their students’ comprehension (Serravallo 2012, 2013; Graham and Perin 2007; Graham and Hebert 2010). We develop strong readers, writers, and thinkers when we encourage our students to analyze and evaluate what they have read and then make personal connections to the text through their own writing. Digital learning can be truly transformative for many students. For some, it is a powerful motivational tool. For others, it is a safe place to work on specific skills that they may be struggling with. We believe in using highly adaptive personalized online resources to engage students in purposeful independent reading and phonics, allowing them to receive a personalized path through implicit vocabulary instruction and the opportunity to be immersed in text. These digital resources equip educators with actionable data to inform instruction in whole-class and small-group lessons while giving students the ability to independently apply what they have learned. Digital tools are not only a strong motivator for students—they also provide educators with detailed insights into how students are progressing. Tracking students’ language and literacy development ensures that they are deepening their understanding of their educational trajectory while their teachers can see where they need to target instruction, and where they can celebrate student success! It is critically important that professional learning provides rich opportunities for teachers to develop and enhance their professional knowledge and practice. Onsite workshops and personalized coaching can help educators continue their personal growth. 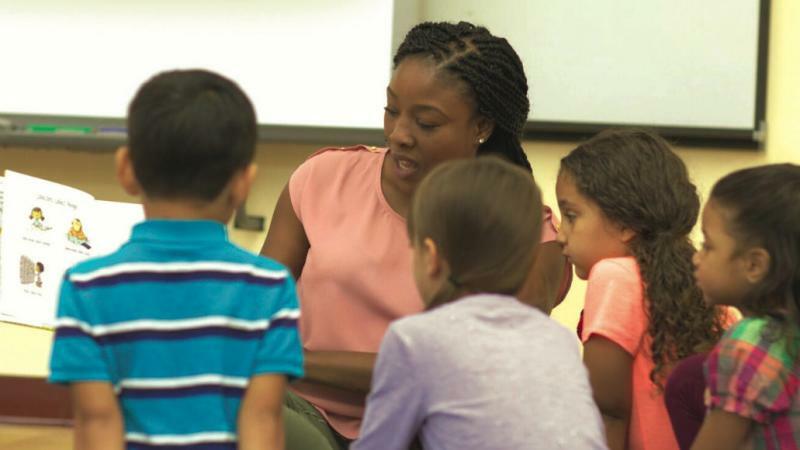 In order for students to master challenging content, problem-solving skills, and effective communication, teachers must employ more sophisticated forms of instruction. Effective professional development is key to teachers learning to teach these skills. More than 50 years of research proves a simple truth: when families are engaged in their children’s learning, students are more successful. But as districts and schools consider how to engage families, they often struggle to determine what types of family engagement have a positive impact on student learning. According to the Scholastic Teacher & Principal School Report, educators agree that family engagement is important, but three-quarters of educators (74%) also say they need help doing so. We believe in providing educators with information and strategies to empower parents and caregivers of students at all grade levels to become effective stewards of their children’s education. In addition to these best practices for student success within the comprehensive literacy framework, your school or district may also benefit from additional supports such as programs for striving readers, summer and extended-day programs, early childhood resources, and more. To learn more about comprehensive literacy and Scholastic Education’s approach to literacy instruction, visit www.scholatic.com/literacy.